Are you looking into Medicare? It might not be quite as easy to choose what you need as you first think. Today, there are so many different options and types of plan, it is important to make sure you know exactly what it is you are getting. The best way to do that is simply to compare the different Medicare plans available and then make a decision. Keep in mind that if you choose a program and plan and find that it’s not right for you, it’s not set in stone. You can always change what you have and use during the open enrollment period each year. Let’s look at the two basic types of Medicare plans. First, you have Original Medicare, which includes Part A and Part B, as well as the possibility of adding Part D to the mix. Part A covers hospitalization, and Part B covers medical treatments and visits. Part D is a plan for prescription medications, and it might be something that you want to add to your Original Medicare plan. Though it is able to offer some great low cost benefits, Original Medicare does not provide coverage for everything. In many cases, patients are looking at using Part C, or Advantage Plans. This allows them to choose a third party private insurance company that offers the exact type of plan they need. This costs more, naturally, but it also happens to offer more. For example, many of the Advantage plans will include Part D so you will not need to buy supplemental coverage for the prescription meds. Additionally they will often include things such as coverage for dental care, hearing, and vision, which Original Medicare will not cover. 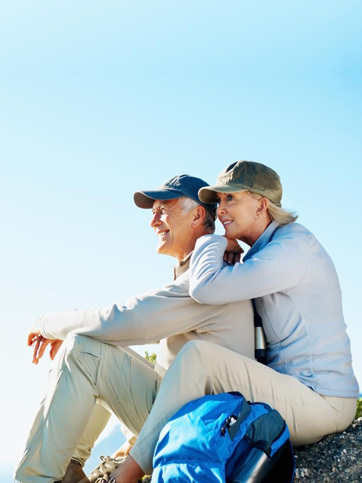 These are the basic options available when choosing Medicare plans. However, it is important to make sure that you are actually looking deeper into what those plans offer before you choose one. Why Is It Important to Compare Plans? You have unique medical needs, and you have to be sure the plan you choose will actually be able to help cover the costs of your specific needs. For some, Original Medicare may be all they need. Others might need to have additional service and the Advantage plan might be the best option. Go over the various options and choose the service and plan that will give you the right coverage for the money. MedicareRates.com will help you compare and saving on your medicare plan. Just use our FREE service to find the best plan for you.